“I Am is a toolbox we can all use in our hyper-connected world. Bruce and Amy are absolutely right that when we prioritize slowing down, we’re actually unleashing our true potential and creativity." "I love this book! 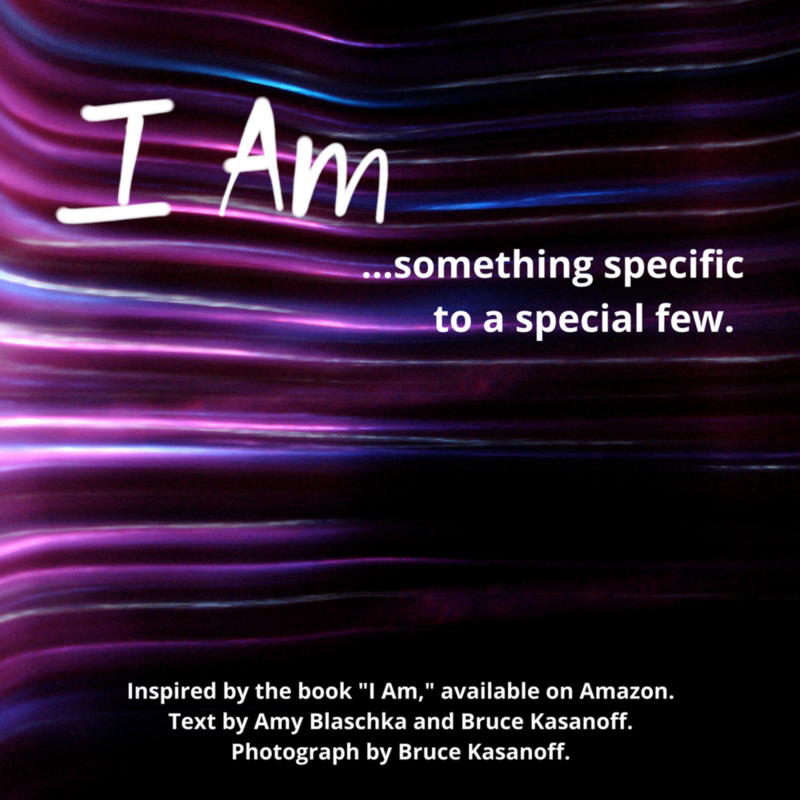 It follows the format of the personal enrichment exercise "I am." I am... tenacious, intuitive, inspirational, playful, etc. But it goes on to describe each attribute chosen in the kind of appealing way that only Bruce Kasanoff and Amy Blaschka could achieve." "INSANE. Your book is genius. In love w/ every word, and I learned a new one - coruscant." "In these crazy busy times, it’s easy to lose sight of ourselves. We get caught up in “order-taking” and busy-ness. I intend to use Bruce and Amy’s book as part of my daily meditation. It is the perfect conduit to living consciously." "I love the book. It's honest and reflective and contains so much space for making it my own." "Both poetic and mindful, offering a transformative path towards positivity, creativity, and unleashing your highest potential." "Amy and Bruce, I feel like the little girl inside me is finally listening. I want to live 'now' and move forward rather than habitually paralyzing myself by looking into the past. My self-doubt and regret gives me only more pain and disappointment. 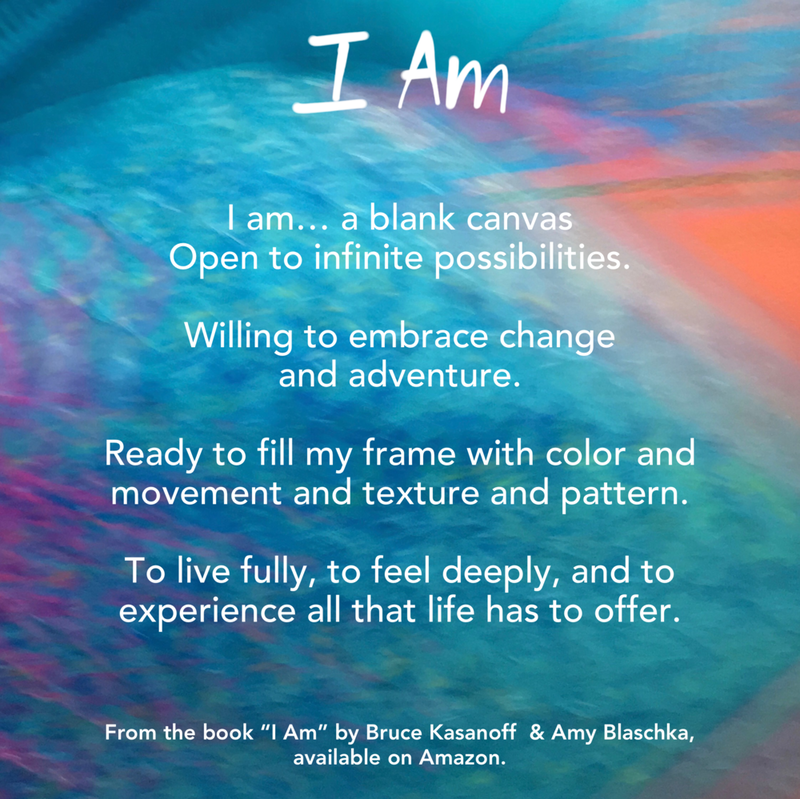 After reading all the 'I am...' pages, I feel light yet powerfully optimistic about my future. Thank you for putting 'pen to paper' and sharing so lovingly of yourselves."